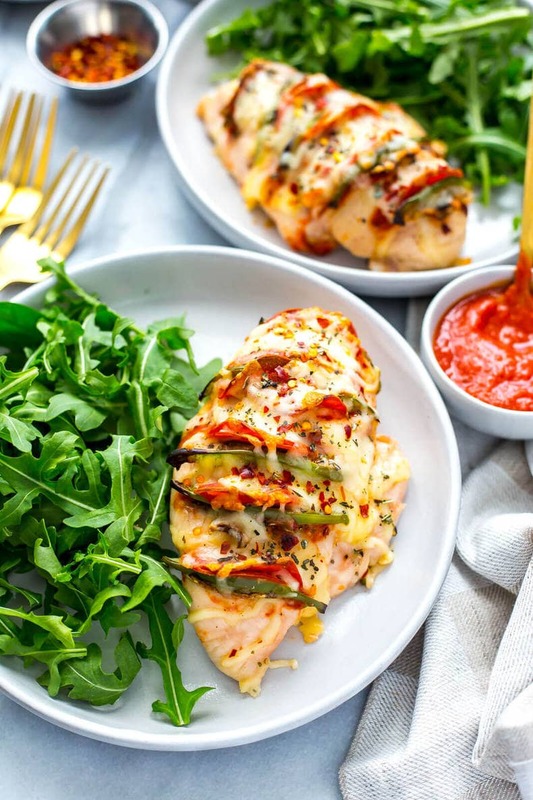 This Hasselback Pizza Stuffed Chicken is a delicious way to spice up boring old chicken breasts and satisfy your pizza craving at the same time – it's keto and low carb, and a healthy, tasty dinner idea! Have a serious pizza craving but don't want to go through the hassle of rolling out the dough, cutting up all the toppings and waiting for it all to come together? 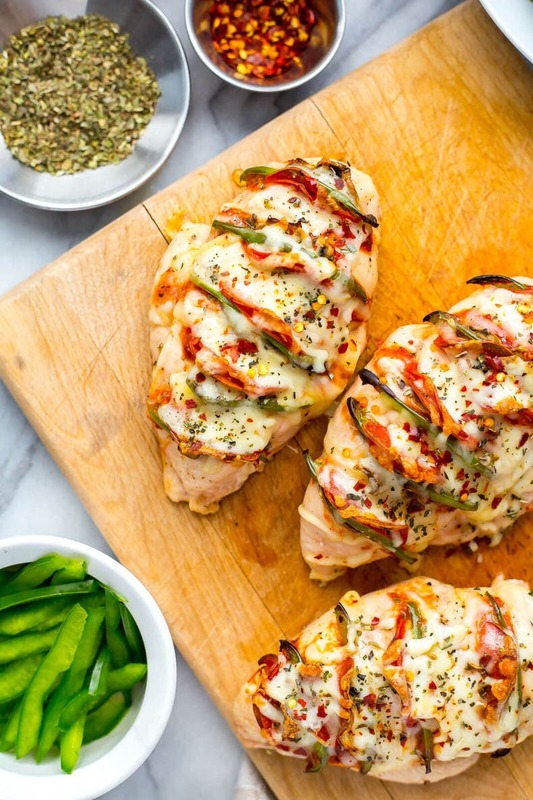 Well, say hello to this delicious CHICKEN PIZZA aka Hasselback Pizza Stuffed Chicken! It's your answer to a busy work day with a short amount of prep time and just a few simple ingredients – you'll be on your way to healthier pizza in no time! 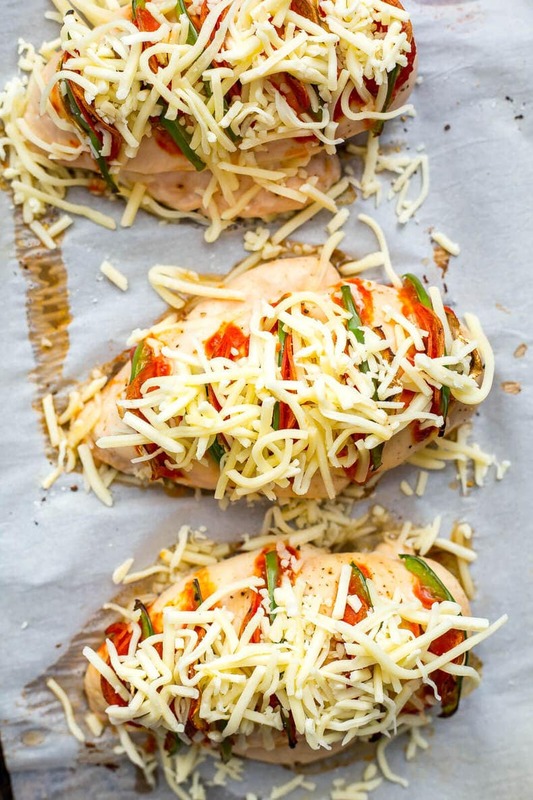 Making this pizza stuffed chicken is so easy – all you need is a small can of pizza sauce, a bit of grated cheese and whatever toppings you have on hand in the fridge. My favourite type of pizza is a “supreme” version with pepperoni, mushrooms and green pepper. It's my dad's favourite too so you can tell where I get my sense of good taste from lol, but feel free to use up whatever veggies you have on hand in the fridge. 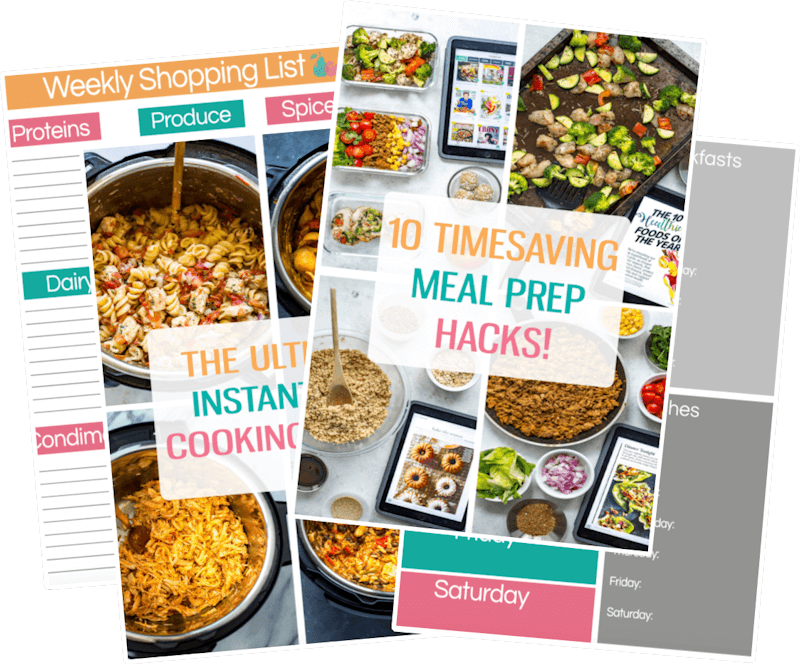 That's the best part about these kinds of chicken recipes – they are so versatile! 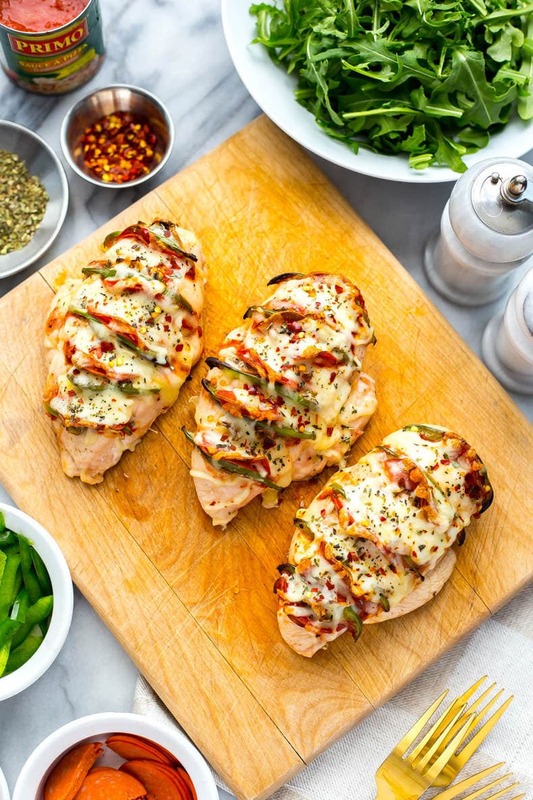 I don't know if you've ever had my Hasselback Jalapeno Popper Chicken or Hasselback Fajita Stuffed Chicken but they are fantastic ways to dress up ordinary chicken breasts and turn them into something special. 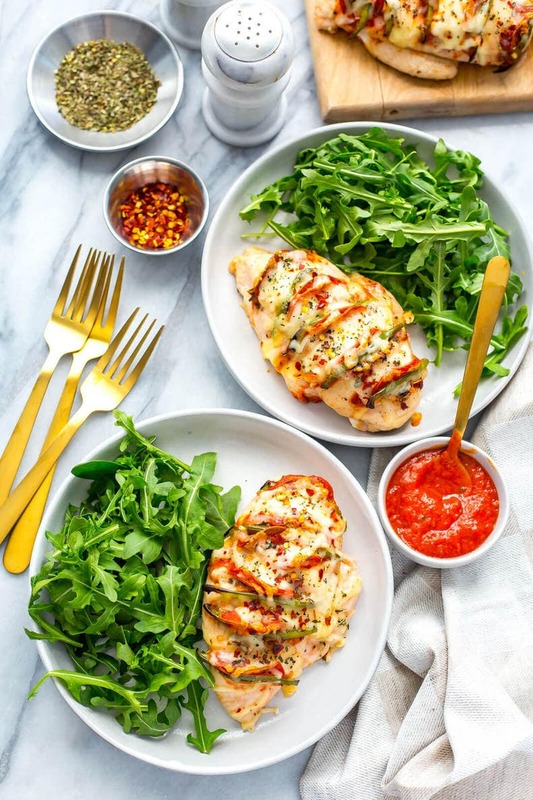 I love that you get such pops of flavour at every bite, and making hasselback chicken is much easier than you think! 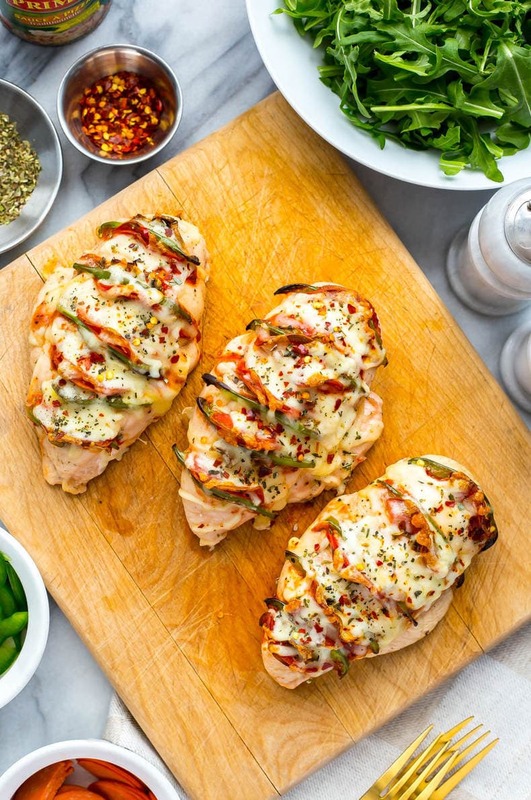 One of the first key steps is to make sure that you make deep enough cuts to fit a bunch of toppings inside – don't even worry about cutting through the chicken breasts right to the bottom because you'll be baking these on a baking sheet and nothing will fall out. If you're cooking these on the BBQ like I do with my fajita chicken version, you'll want to ensure you don't cut right through to the bottom just in case some veggies fall out, but for the most part this isn't too hard to do. I actually find it much easier to make hasselback chicken breast than stuffed chicken breasts because chicken breasts come in all shapes and sizes. 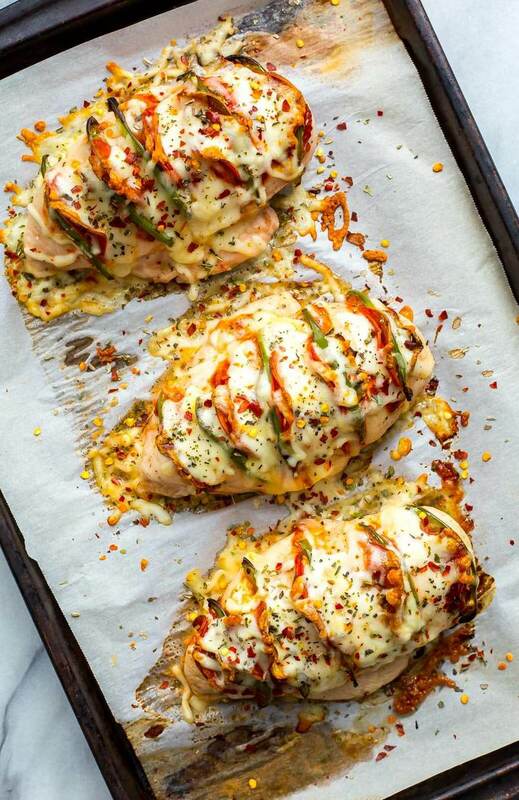 Sometimes you'll have a chicken breast where portions of it are falling off and it's hard to get a clean cut in the middle, and you also can't stuff too many toppings into one slit in the chicken breast so making a hasselback version is often the easiest way to get in a bunch of flavour quite easily. 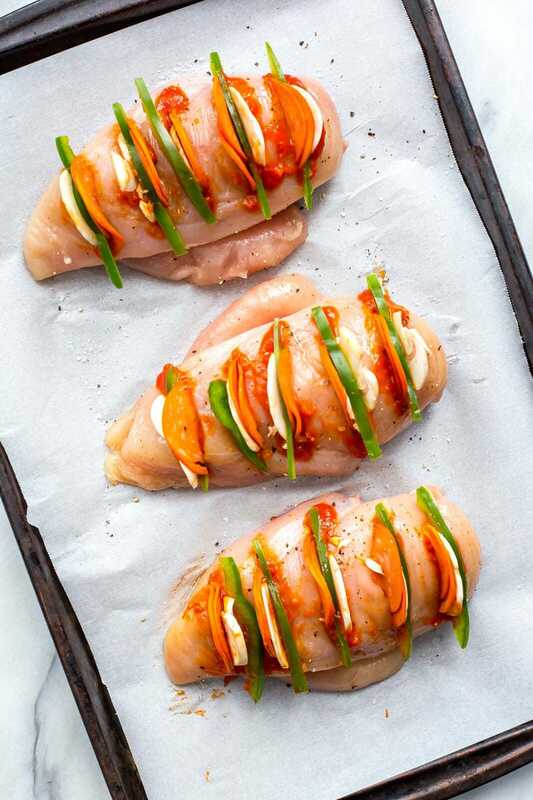 As you're cutting the chicken breasts for this recipe, you'll also want to make sure the cuts in the chicken breasts to be wide enough to fit strips of veggies like bell peppers. From there, it's about making sure that your toppings are sliced thinly enough so that a bunch of them will all fit inside the slits. You don't need to include more than one or two of each topping inside each slit, so don't worry about having a ton of toppings on hand. 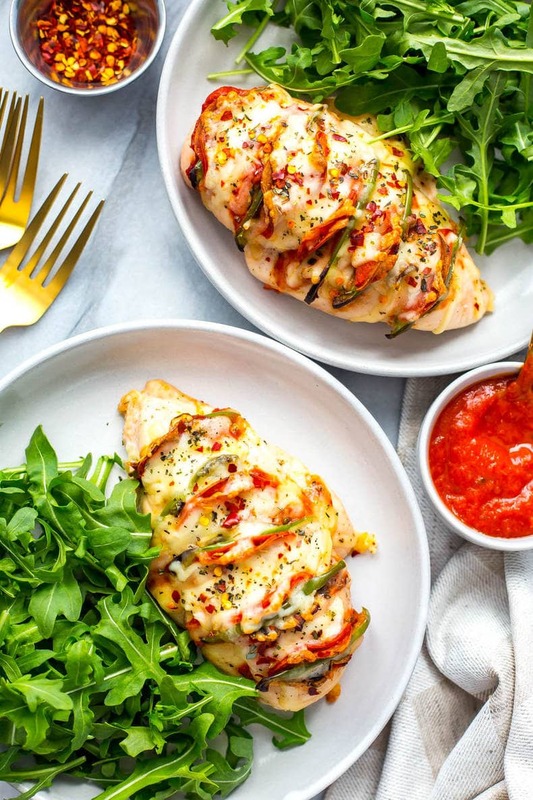 I feel like you could probably also top this Hasselback Pizza Stuffed Chicken with pizza sauce instead of filling each cut in the chicken breasts with pizza sauce but it's up to you! 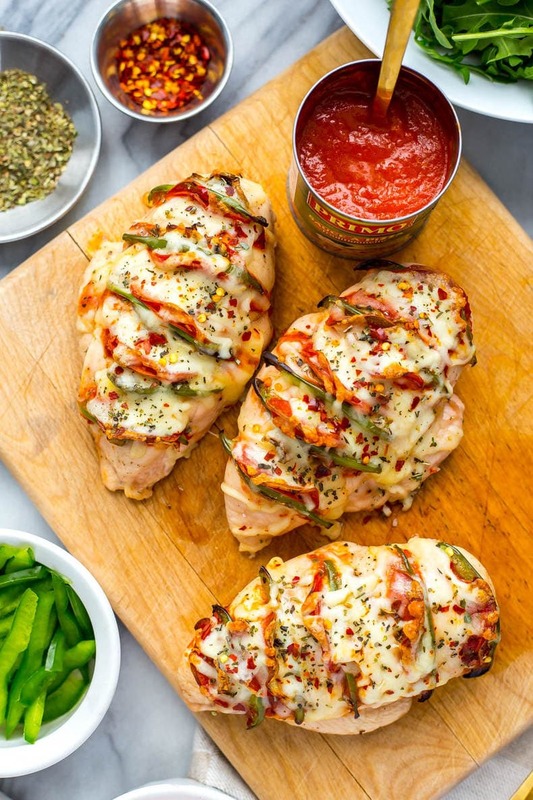 If you like more sauce and cheese together uniformly across the chicken you may want this to be an option, then just stuff the veggies and pepperoni inside. By the way, if you're looking to make this hasselback chicken recipe even healthier, I would suggest using turkey pepperoni instead of regular pork pepperoni. You'll save calories and add a leaner protein to the mix. You probably also won't even need a giant side dish to pair with this Hasselback Pizza Stuffed Chicken. A little arugula salad or some garlic bread could go a long way and make this dish a true meal in its own right. 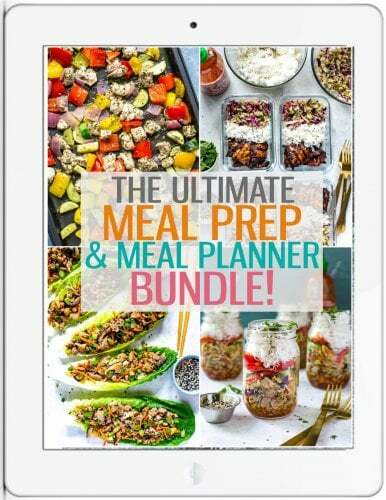 And you can always customize it to be low carb/keto if you're looking to make this fit your fitness and diet goals. 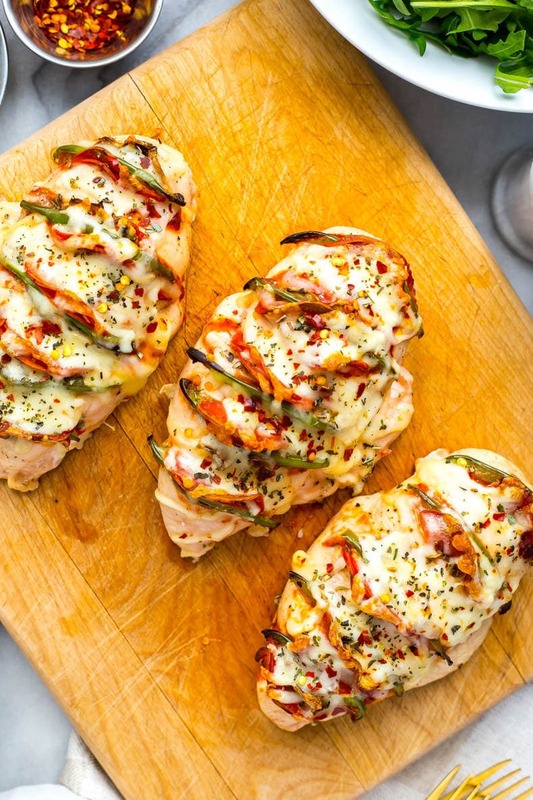 Will you be making this Hasselback Pizza Stuffed Chicken? 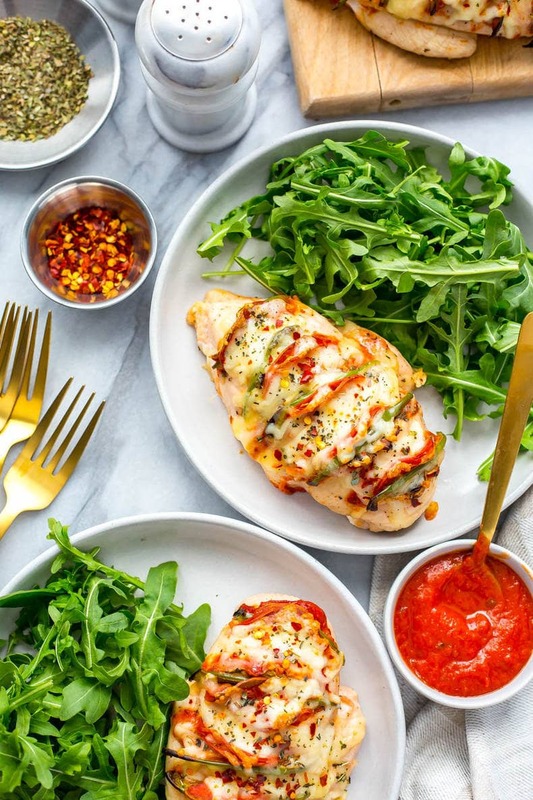 I absolutely love coming up with super fun and creative ways to stuff chicken breasts and turn them into delicious dinners! What's your favourite kind of stuffed chicken? 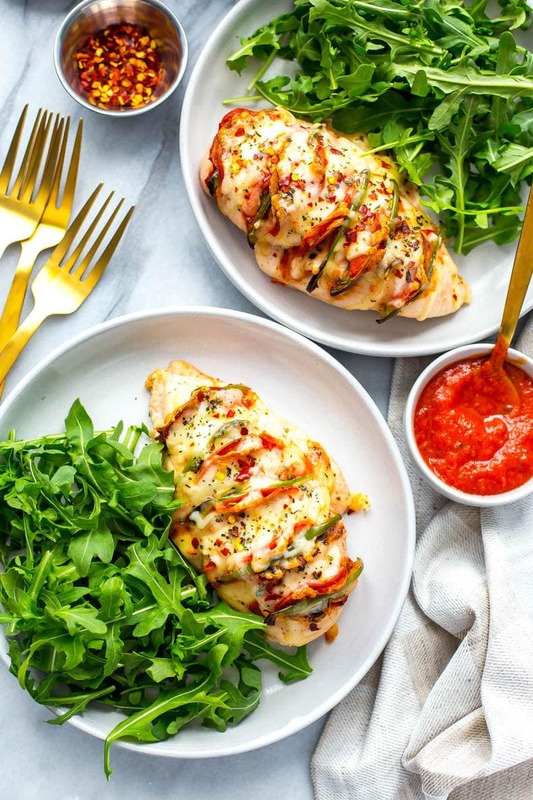 This Hasselback Pizza Stuffed Chicken is a delicious way to spice up boring old chicken breasts and satisfy your pizza craving at the same time - it's keto and low carb, and a healthy, tasty dinner idea! Preheat oven to 400 F. Make horizontal cuts across each chicken breast (see video if you're unsure how!) Season chicken with salt and pepper. Add mushrooms, green peppers and pepperoni to each cut, then add chicken to a parchment-lined baking sheet and bake for 20 minutes. Remove from oven, top with cheese, then bake another 10 minutes. Remove from oven, top with Italian seasoning and red chili flakes, then serve and enjoy!